Do you have a product or just one project and need metal forming services? From metal bending and straightening to punch press stamping, Barnes Manufacturing Services has the skills and equipment to handle it. Whether you need tooling or machinery designed, product engineering done and complete short run production services, or just need one quick metal part finished, we have the equipment and skill to get it done. 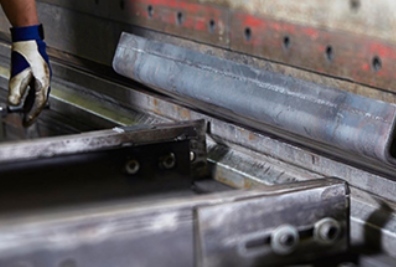 With a 20 foot press brake, we have the capability to bend or straighten larger pieces of metal, such as dump box sides and truck fenders, as well as the capacity to do metal forming for diamond plate platforms. The ability to use larger sheets of metal means there are less seams and less welding is needed. If you need custom manufacturing services of any sort, Barnes can do it right here. With a CNC machining departments, a custom fabrication shop, product assembly, and painting and finishing services available on site, we can get your entire production project completed in less time and with less shipping costs than our competitors. 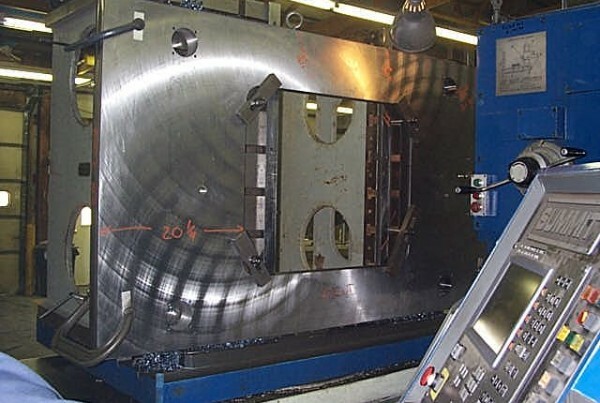 If you need custom metal forming services or other machining and metal fabrication services, email Barnes today!